Audiophile musician Eleanor McEvoy is accompanied by pianist Damon Butcher. 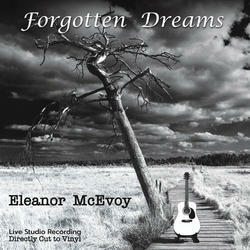 Many audiophiles all over the world are familiar with Eleanor McEvoy. There is no finer musician with which to work. Eleanor is accompanied by Damon Butcher on grand piano and plays several solo instruments herself, underscoring her beautiful voice, for this direct cut album. When the opportunity came to work with Eleanor, as you can imagine, Chasing The Dragon jumped at it. It was decided that it would be great to record a 'Direct Cut' album. They have already released 5 albums using this process, where they record straight to the Neumann Lathe at Air Studios. Eleanor put in a fantastic performance and, remember you cannot stop half way through when cutting live vinyl. She had to be note perfect on both sides. Jake, the mixer, and John, mastering engineer, also brought their 'A game" to the session. This Live Studio Recording was directly cut to vinyl for the LP format. Chasing the Dragon have become known as one of the leading producers of audiophile recordings. This incredible release is now available on Compact Disc!